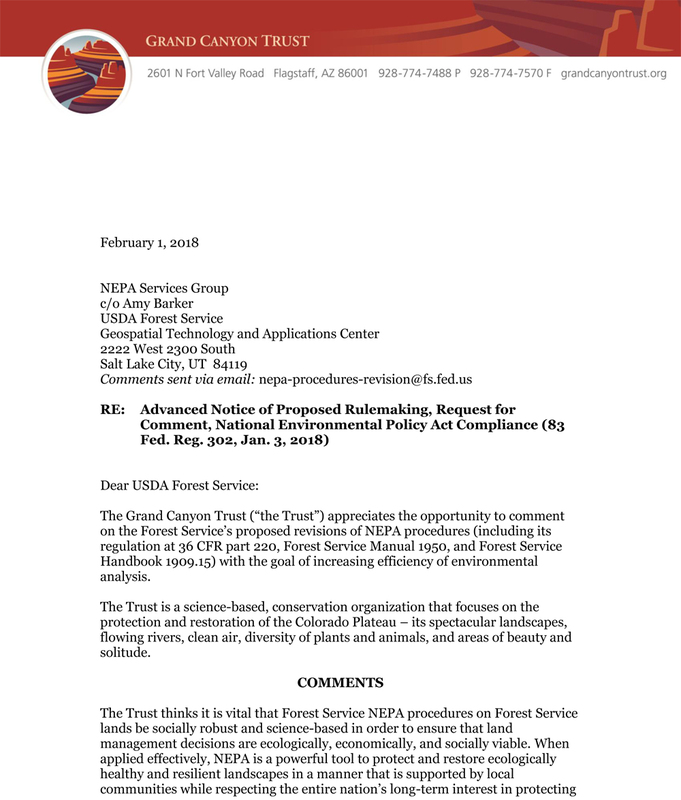 Read the Grand Canyon Trust's February 1, 2018, comments on the Advanced Notice of Proposed Rulemaking, Request for Comment, National Environmental Policy Act Compliance (83 Fed. Reg. 302, Jan. 3, 2018).